With such a diverse audience, peripheral manufacturers are required to cater for many different people. Approximately 12 percent of the world's population is left-handed, but mice that cater to them are few and far between. There are a few good options on the market but nothing really impressive. 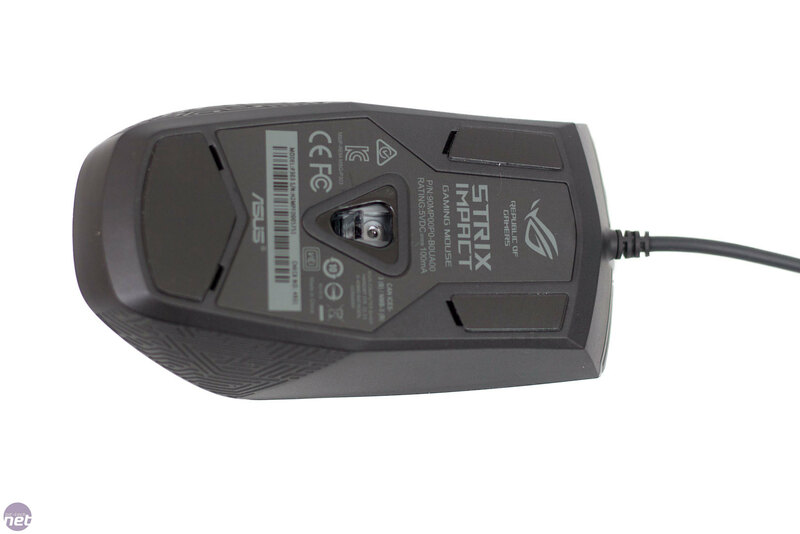 Asus has decided to try to tackle the problem head-on by releasing the Asus ROG Strix Impact. This mouse is ambidextrous to grant users that are left-handed the same experience as those who are right-handed. Inside the packaging there is very little - the mouse, a couple of Asus ROG logo stickers, and of course a user guide. The mouse is very plain indeed; there are no side buttons at all, which seems a bit silly to me. I personally use my side buttons all the time, even if it is just to go forward/back on a website. It seems a little bit of an oversight, especially with the price the Impact carries. 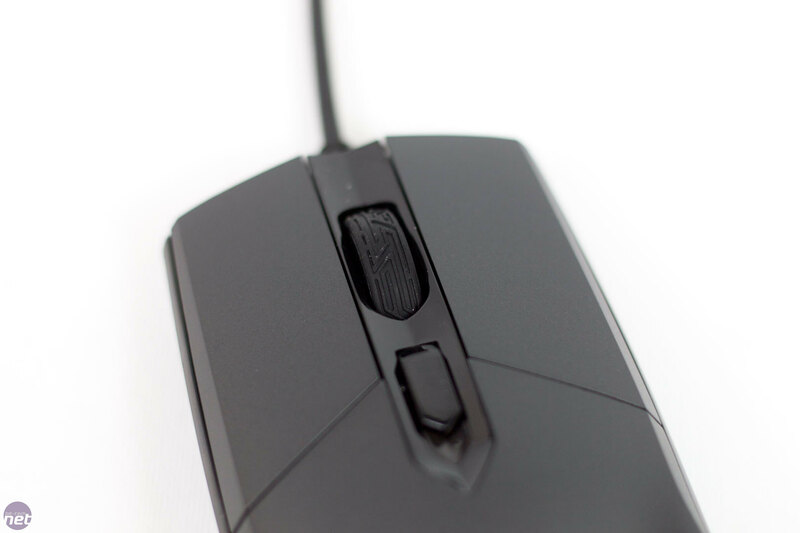 There's a little bit of rubber grip on the rear of the sides of the mouse, and this features the Mayan design that Asus is currently putting on everything. The Mayan pattern can also be found on the scroll wheel. The button directly behind the wheel is used to change the DPI. This can be programmed to perform another function, and it's situated in a place that's easy to access while gaming. The left and right mouse buttons feature Omron switches rated up to 50 million clicks. The switches feel fine and have a good, satisfying click to them. If we turn the mouse over, there are three skates that help the Impact glide across your chosen surface. Although the sensor isn't listed on the Asus website (which isn't usually a good sign), I seem to remember at CES that they mentioned it would have a Pixart PMW 3310, which would also tie into the 5000 DPI native resolution. The 3310 is a pretty good sensor, but there are better ones on the market now. 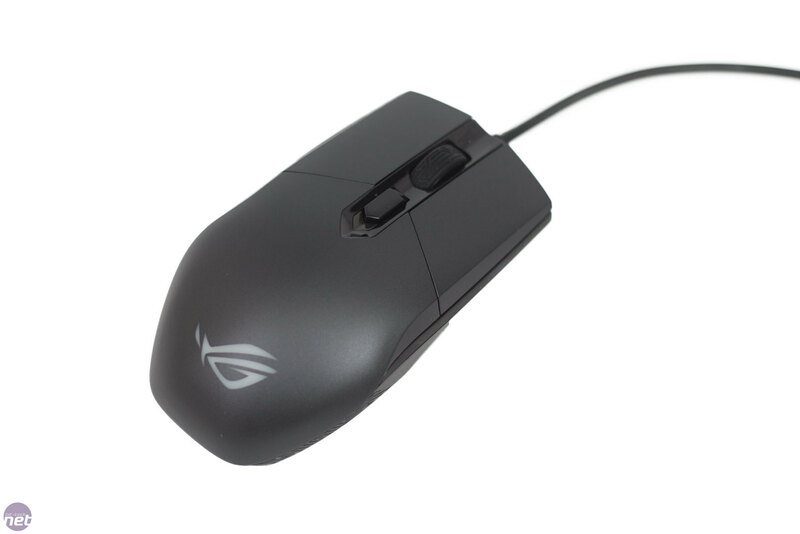 Other mice that include the PMW 3310 can be found for far cheaper too. The mouse did track well on all surfaces that I tried it with, and there was no stuttering or other issues. The mouse is for ambidextrous users so has a shape that can be held with either the left or right hand. This means the mouse is symmetrical, but it also means that it's a little bit thinner than usual. 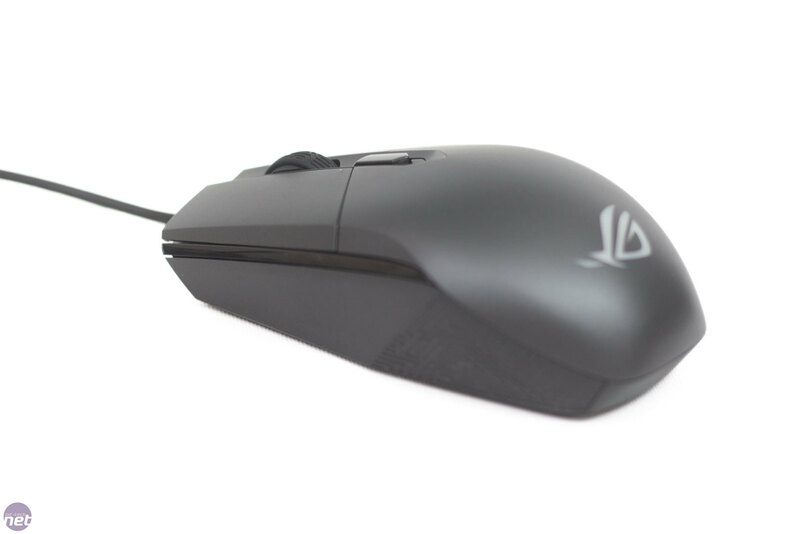 The mouse isn't bulbous at all, and due to the lack of side buttons, you can hold it comfortably however you would like and still reach everything. 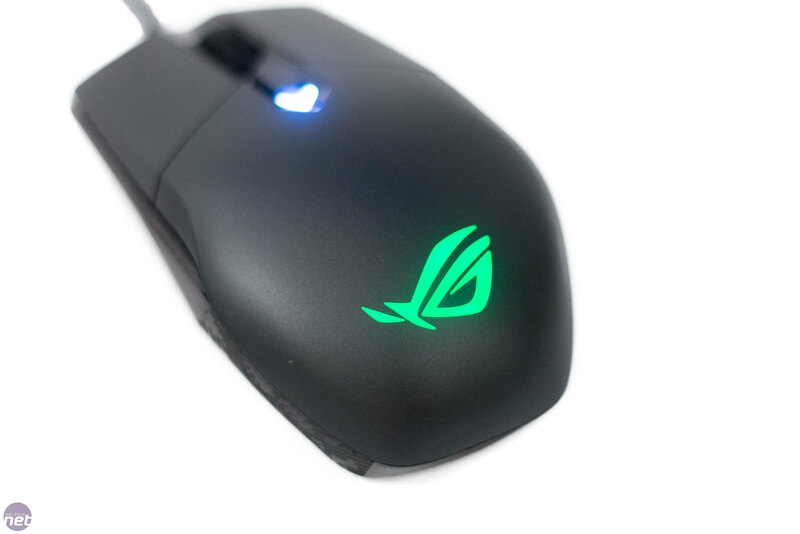 The mouse is rather light, which is great for flicking around on FPS games, but if you like something with a bit more weight, this isn't for you. The rear of the mouse features the only lighting zone. 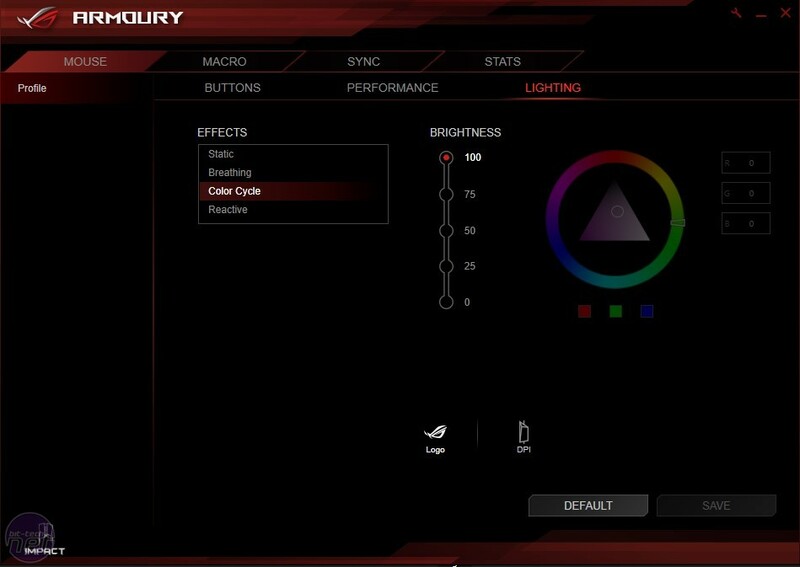 This lighting zone is RGB and can be used with Asus Aura to sync with your other Asus products. 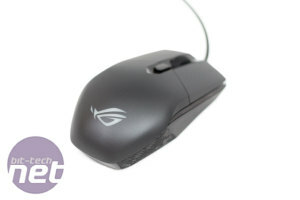 Compared to the Asus Gladius II that we looked at earlier this week, however, it does seem a little boring. 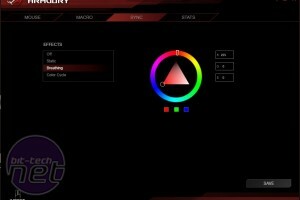 Obviously, this is a personal opinion, and I understand a lot of people don't like RGB lighting at all. 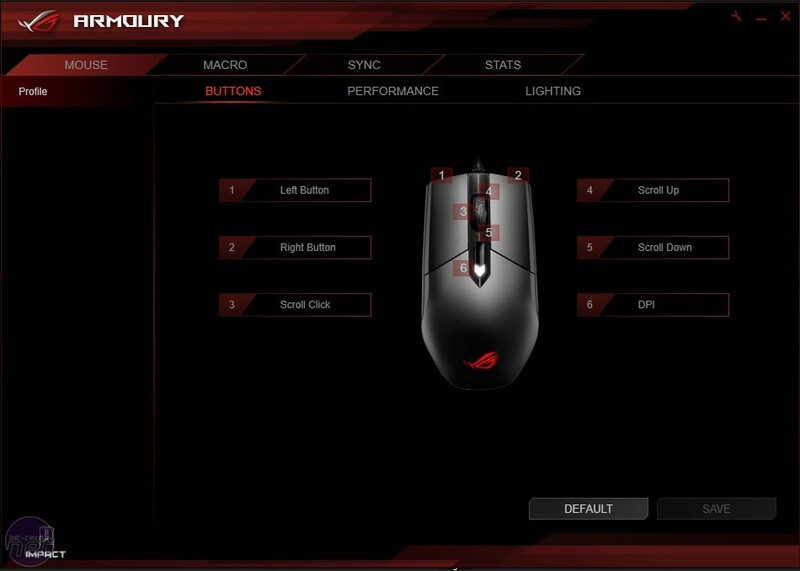 Asus is pushing the Aura feature on this mouse, though, so it would have been nice to see a little more. 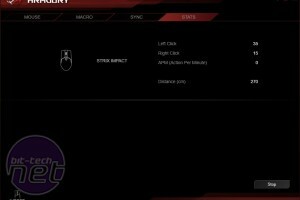 Like all of the recent Asus products, the Asus Armoury software has been bundled with the Asus ROG Strix Impact. This software is actually quite powerful and works well. The only issue we see with using it with the Impact is that a lot of features are pointless. 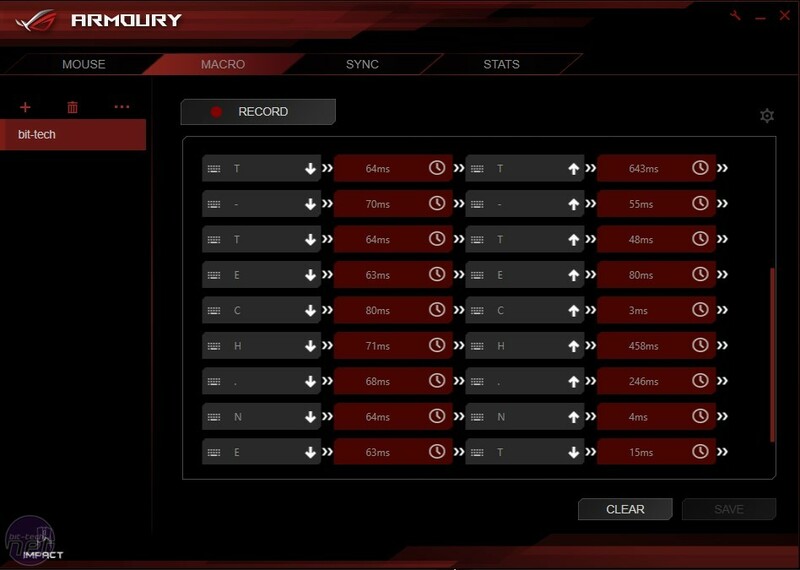 The Impact only has one extra button which is set to change the DPI by default. This means that there is very limited scope for programming extra functions or custom macros. We did create a macro, and it was easily done and has all the features you would expect, but the issue was finding a button to use it with without compromising core functionality. Again, with such a small lighting zone, the Asus Aura tab seems a little redundant. It's nice to get your products to match and sync with each other, though, and when you have a lot of Asus products working together it is rather pretty. It would have just been nice to see more than one lighting zone on the Impact to actually show it off. 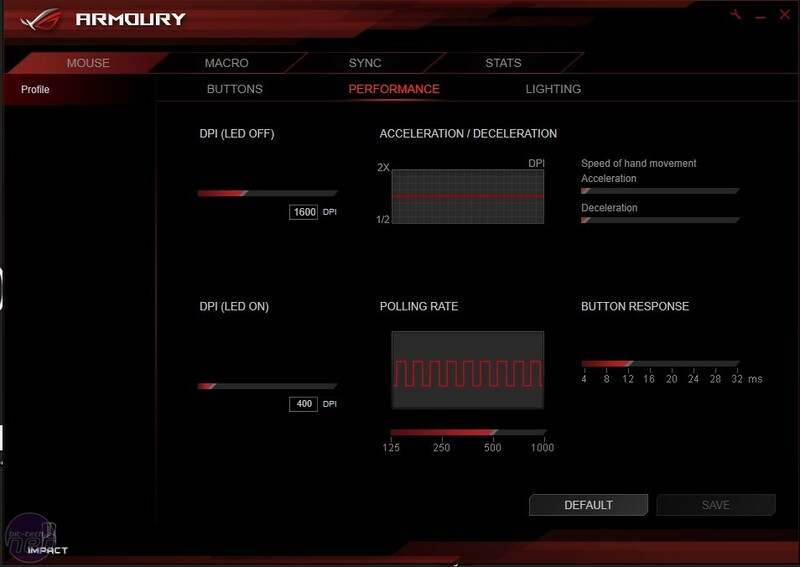 The performance tab is the only tab that is really needed with this mouse. 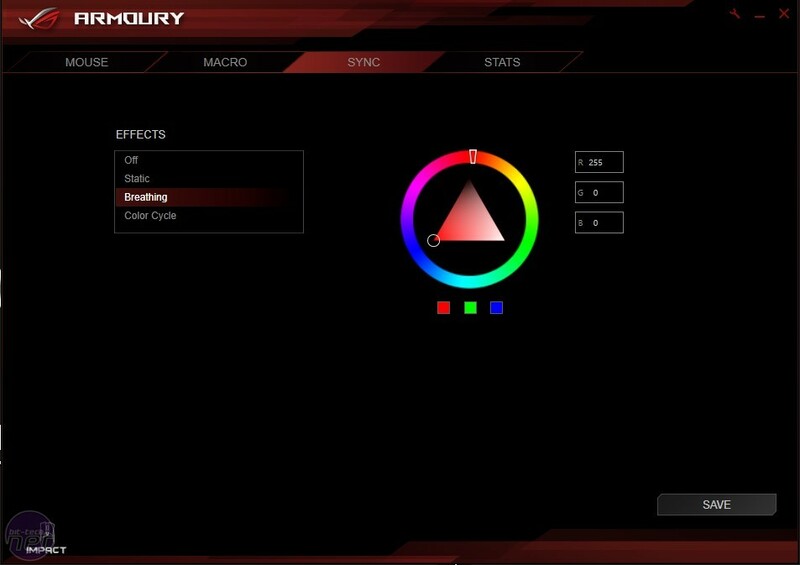 This is where you can tweak all your settings to get it to feel how you would like it. 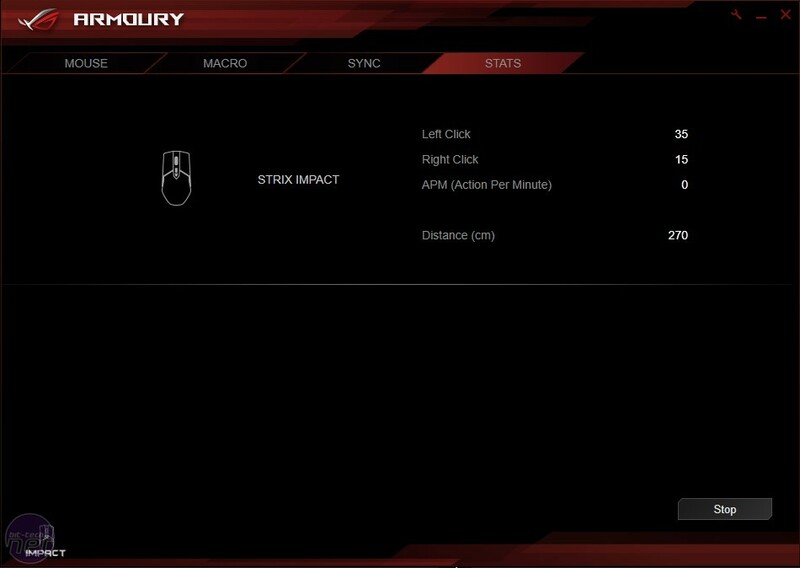 The settings are a little limited compared to the Gladius II, but all of the main features are here. 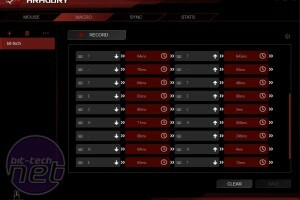 You can change the DPI, acceleration, polling rate, and more. 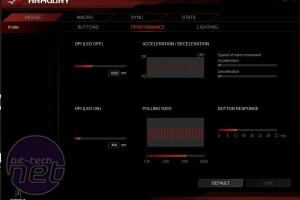 As you have probably noticed, we have been left a little deflated by the Asus ROG Strix Impact. 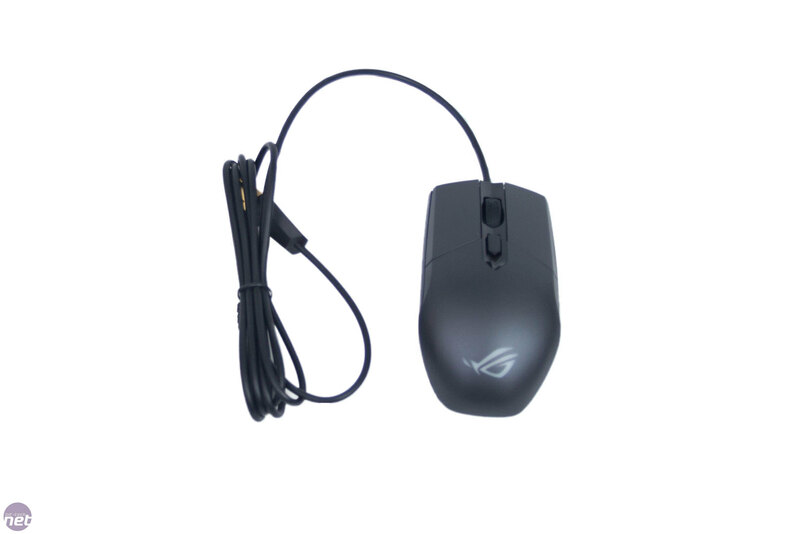 It is a very basic mouse that comes in at nearly £50. The sensor works fine and tracks well, but you can get mice with a Pixart PMW 3360/3366 for the same price, or you could get a 3310 for a far cheaper price. In terms of comfort, it was fine for me. I do have small hands, though, and I think people with larger hands might struggle somewhat. 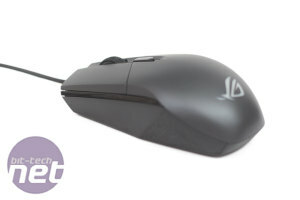 This is, as always, personal preference though, you might find this mouse suits your hand perfectly. The software suite is perfectly fine, and with mice such as the Gladius II which utilises the features, it is very powerful. With the Impact, however, there is very little need for it. Having said that, if you are paying the best part of £50 for a mouse, you want as much as possible from it. Overall, it is hard to bestow an award upon the Asus ROG Strix Impact. It just doesn't do anything that many other mice can't, and with the added "ROG Tax", you are paying a lot more for it than you need to. 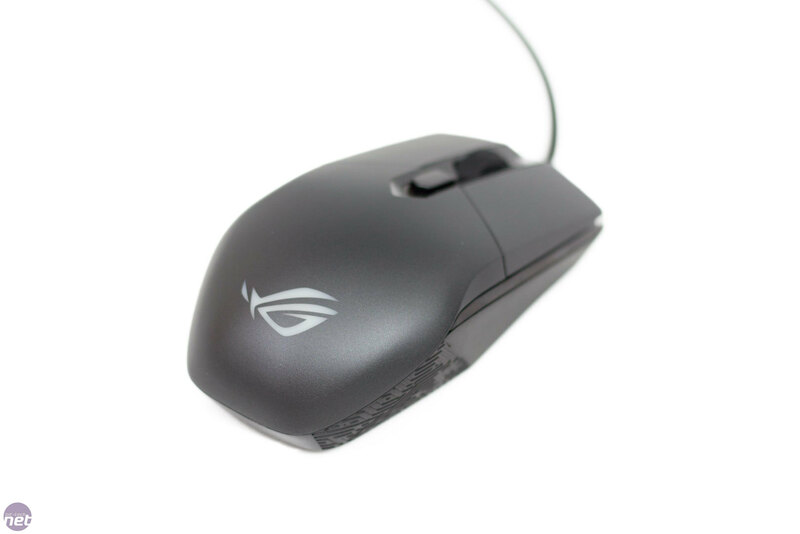 If you are ambidextrous, there are other mice on the market that have more features at the same price point such as the Sensei RAW, Avior 7000, and the Logitech G302 Daedalus. 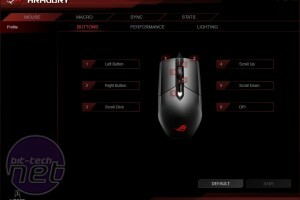 If you are looking for a very basic mouse with a mid-range sensor, then there are far cheaper options such as The Corsair Katar or the Rival 100 or even Asus's very own Sica or Dark Claw. Basically, Asus has missed the mark with this one. 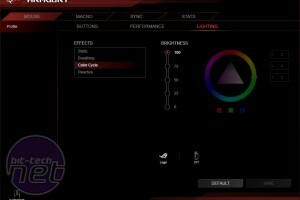 If it was priced £15 - £20 cheaper, it would be a viable contender, but the current price is hard to justify unless the ability to synchronise the RGB lighting with your other Asus hardware via Aura Sync is critical to you, in which case this is currently the least expensive means of achieving that.